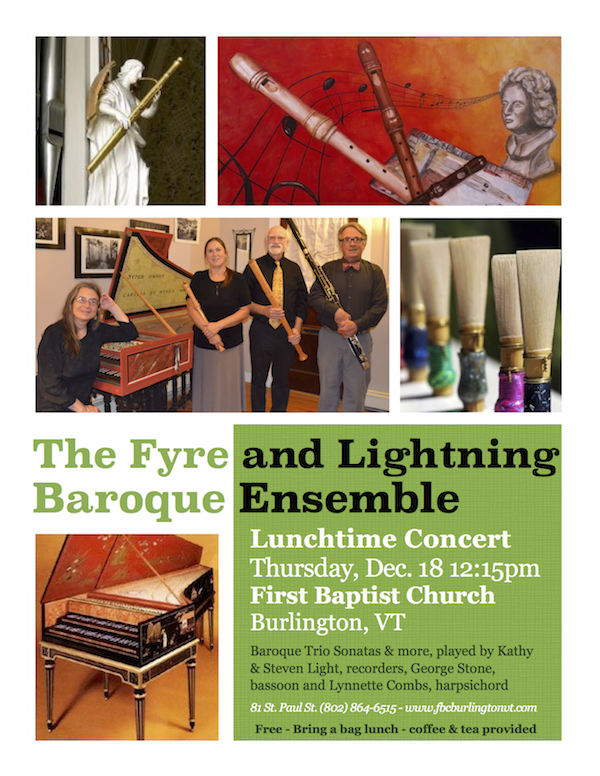 The Fyre and Lightning Baroque Ensemble is our newest endeavour. We play recorders of all sizes, harpsichord and bassoon. We specialize in Baroque Trio Sontatas (2 recorders and "continuo"). Currently we are playing trio sonatas by Telemann, Albinoni, Handel, Corelli, Zelenka and Bach. We also include solo bassoon, recorders and harpsichord in our concerts.